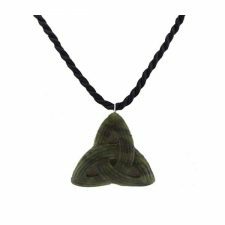 The beautiful Connemara Marble Shamrock Pendant is a lovely gift from Ireland. This Shamrock Pendant is made from wonderful green quality Connemara Marble with an 18″ Sterling Silver chain. The Shamrock is without doubt the most recognised symbol of Ireland. 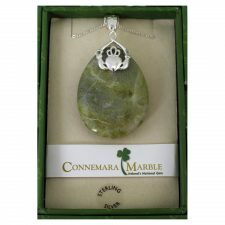 Often called Ireland’s national gemstone, Connemara Marble is a traditional gift of friendship. 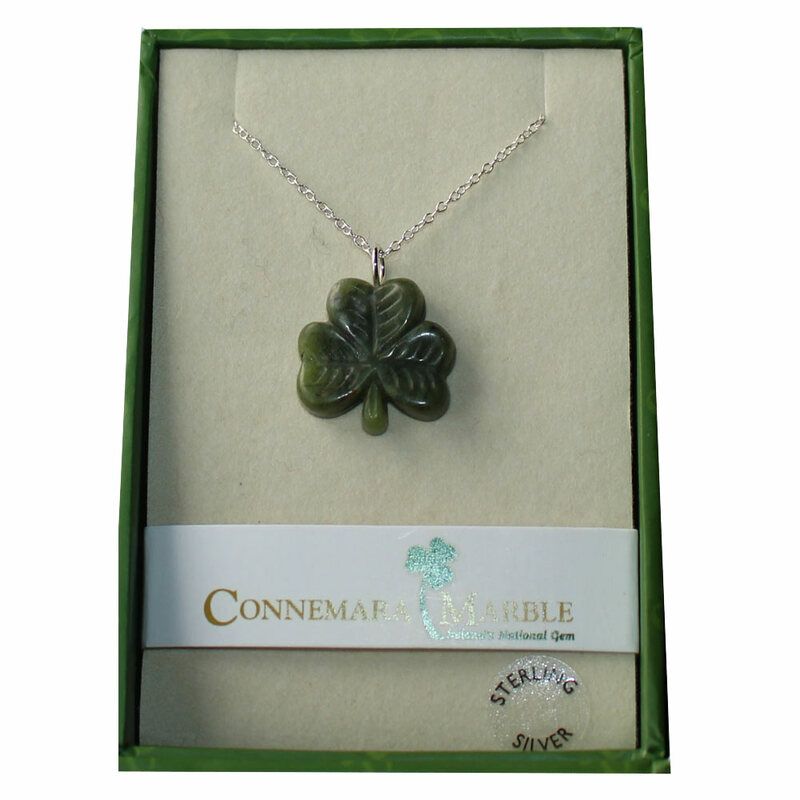 Connemara Marble is one of the rarest marbles in the world and is found exclusively in the West of Ireland. 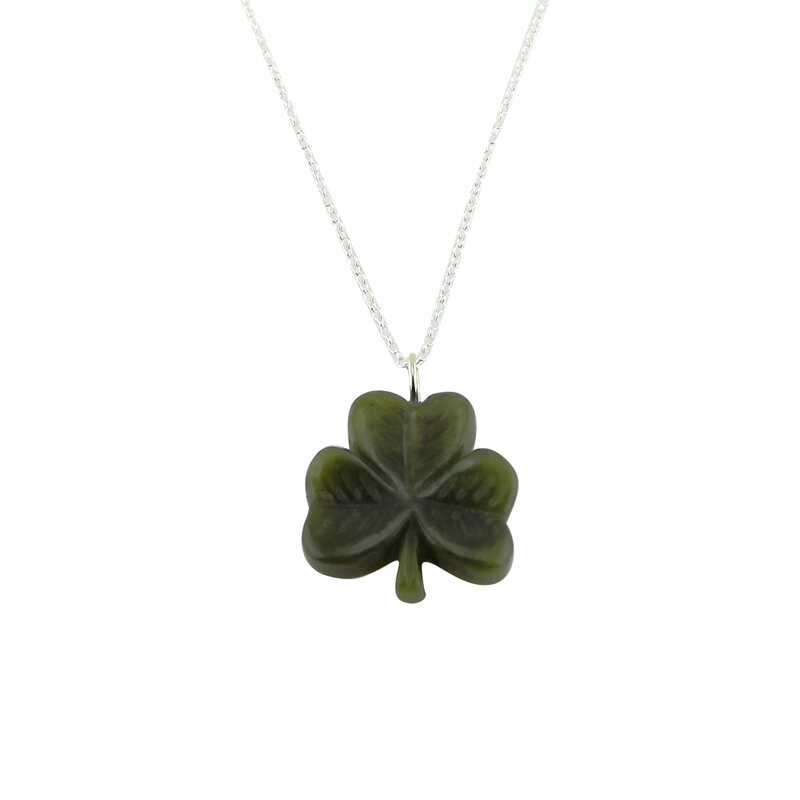 Connemara Marble is the world’s finest green marble varying in colour from creamy pale green to shades of sage and moss. 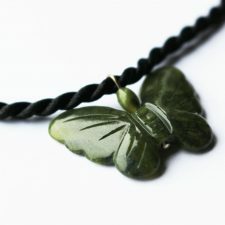 Due to natural shading each gift set may be slightly different but will be of the same high quality and beauty. 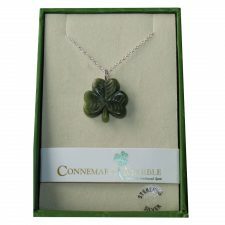 Connemara Marble is found only in the Connemara region of the West of Ireland and is over 900 million years old.